The idea behind this solution is a master page with sections. 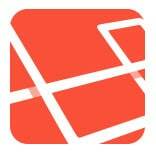 The example below is for Laravel 5 with the HTML package, but can be used in any Blade template driven application. This idea matches my opinion that assets are mostly view specific and therefor should be determined in the view and not in the controller. So let me show you how I handle my assets. You can add an extra section for styles which can be loaded after the page is loaded. I haven’t done that because of the effects this can have on smartphones.